Twenty-five years ago, Rwanda reached a point in time where forward was the only way to go. After the 1994 Genocide against the Tutsi it took tremendous efforts for the country to raise from the ashes it had been reduced to. It also took vision and an unshaken will to survive, live and strive as a nation. Above all, it took resilience. In the face of tragedy, trauma and adversity, Rwanda’s road to resilience has been an eventful one. Health, Education, Agriculture, Trade, Economy… Rwanda has had to leak its wounds, resume to existence and rebuilt from all corners, for life never stopped for the rest of the world. 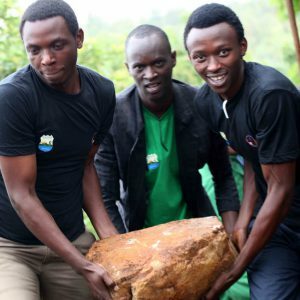 Click here for more on Rwanda today.